UFCW retirees are working hard to change the political environment for the better and encourage active citizenship—whether it’s helping to overturn work for less laws or getting out the vote leading up to the midterm elections. 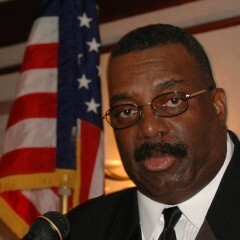 Don Cash retired from his position as executive assistant to the president at UFCW Local 400 in 2007. He has always kept himself engaged during his retirement years and currently serves as president of the UFCW Minority Coalition. He is also working on the Ben Jealous for Governor of Maryland campaign. He has known Jealous, who is the former president and chief executive officer of the NAACP, for years and has worked with him on civil rights and social justice issues. 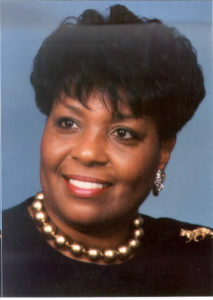 Mary Finger retired from her position as International Vice President and Civil Rights Director at the UFCW International office in 2005 and moved to San Antonio to be near her children. She’s been helping the Beto O’Rourke for Senate campaign in Texas with voter registration and get out the vote efforts since O’Rourke announced his candidacy last March. Over the past few weeks, she has been encouraging Texas voters in underserved neighborhoods to vote early because she believes that benefits for seniors and future generations are in danger. 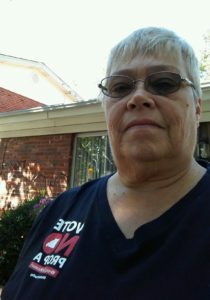 UFCW Local 655 retirees Ray Wenzelburger and Cathy Johnston recently helped to defeat work for less Prop A in Missouri. Even though Missouri became the 28th work for less state in February of 2017, Wenzelburger, Johnston and hundreds of others fought back by collecting signatures and placing a constitutional amendment on the 2018 ballot to reverse the law. On August 7, voters rejected work for less by a 2 to 1 margin and the anti-worker law was immediately overturned. 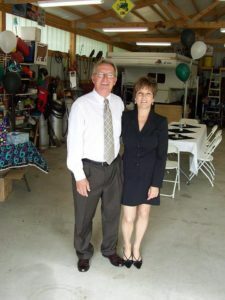 Wenzelburger was a member of UFCW Local 655 for 40 years and retired two years ago. He used to work in a magazine distribution business in St. Louis that provided magazine racks for Dierbergs, Schnucks and Shop ‘n Save, and served as a shop steward for 36 years. He has always been involved politically and encourages other retirees to do the same. Johnston worked for 29 years at a Dierbergs store in St. Louis and served as a shop steward for 27 years. She retired three years ago, and helped to collect signatures to defeat work for less. She encourages younger voters to get involved in campaigns and exercise their right to vote.